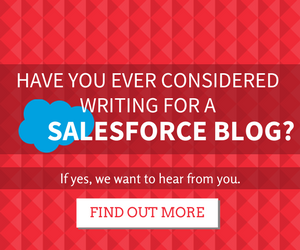 What is the one word Salesforce Executive press statements trumpet time and time again? Have they been sowing the seed all along? Integration is what’s core to Salesforce’s latest venture: ‘Customer 360’. In short, Customer 360 promises to deliver a 360 degree view of each individual customer, regardless of how many data sources your organisation is juggling. Know your customer’s full story. It’s an end to integration frustration. Using multiple systems causes headaches. Even with integrated systems, matching records, then syncing and reconciling data is somewhat of a dark art. Rarely is there a true full-profile of the individual customer. Integration has been a hot topic ever since Salesforce splashed $6.5 billion on acquiring Mulesoft, later renamed ‘Integration Cloud’. The obvious advantage of the acquisition was for customers to connect their existing IT infrastructure into Salesforce, reducing the need for a data warehouse. Yet, Customer 360 will go even deeper in positioning the Salesforce platform as the ‘hub’ of any enterprise. Salesforce leverage this to bring its own ‘cloud’ products closer together; now, data across any of the ‘clouds’, whether that be from Sales Cloud, Service, E-Commerce, Apps…is going to be synced more seamlessly using a single ID. Remember that many of the Salesforce ‘cloud’ products are the result of numerous acquisitions. With an ever-expanding platform, and AI demands first-class data integrity, it’s a good time for Salesforce to step back, and launch Customer 360. Customer 360 ID: a universal record ID that each system will associate with – all ‘reading from the same page’. 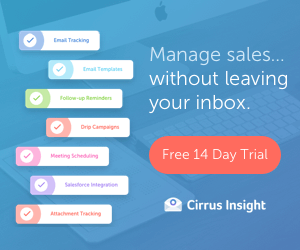 Customer 360 Interface: designed for admins to select and connect up data points from various sources – rapidly in a few clicks. It will include areas for data preparation, defining matching/reconciliation/update rules, and also (drumroll…) a dashboard with shout-out metrics such as Input Consumer Records and Unique Consumer Records (pictured below). Customer 360 promises a fresh, stripped back approach to data integration. It’s a necessary step-up in integration that Salesforce needed to take, in an era where data connectivity are a given, and with the demand of an AI-enabled product suite. I like to think of this as a shift in systems focus – from a 360 degree view of the sales pipeline/service cycle/marketing funnel etc. – to an all-encompassing view of the customer themselves. The product is in beta testing and is expected to reach general release in 2019 (exact month unknown). The Universal ID definitely provides advantages n terms “unifying the data” and is probably the only way to normalize the 360 degree view of all the disparate data. I don’t know how this will work if a firm is using Oracle, SAP or some other ERP/Financial system with well developed customer ID’s in place. Further, for firms using Informatica, Boomi, Scribe, or other ETL tools – will they abandon them for Mule? There are a lot of unknowns to sort in these instances that are outside SFDC specifically. On your review of CONGA – I agree with all your points. 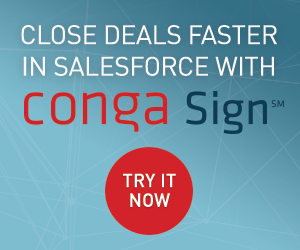 I wonder how Ecosign and Docusign will fare as the integrated eSignature capabilities of Conga are advanced. I thought Salesforce may have purchased Conga given its deep integration to the platform. This same circumstance is how & why Steelbrick was purchased too. Anyway interesting times for the uber-large SFDC ecosystem now. If only the license fees were not soooooooo expensive.